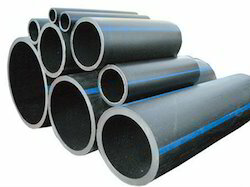 Pioneers in the industry, we offer 160 mm hdpe pipe pe 100 pn 8 from India. Our Company is a noteworthy organization persistently involved in offering an extensive range of 160 mm HDPE Pipe PE 100 PN 8 our valuable clients. The entire range we have put on offer is strategically designed and manufactured in line with ongoing market trends and requirements of our clients.